4 Can the brain live without a body? 5 A genius or a madman? The first head transplant operation will take place in December 2017. 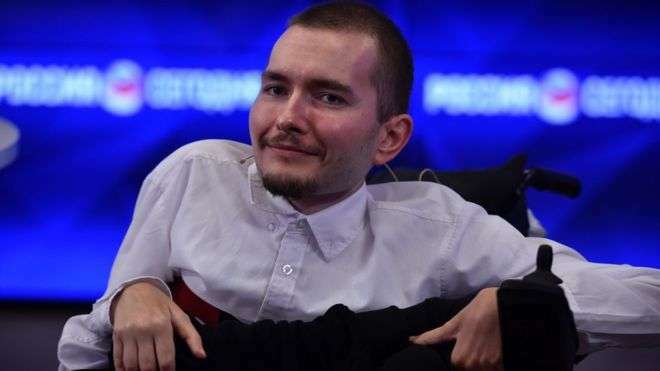 Valeri Spiridónov, a 30-year-old Russian who suffers from spinal muscular atrophy will be the first human to undergo this surgery, which will last approximately 36 hours. According to Sergio Canavero, the controversial Italian neurosurgeon who will be in charge of the operation, two years is enough to verify all the scientific calculations and complete the whole procedure. “There is no hurry, no doubt the operation will take place when the doctor and the experts are 99% sure of their success,” said Spiridonov talk to Fox News. According to him, he has no other choice, since very soon he might find himself like as scientist Stephen Hawking. “I have to do it because I do not have many options. My decision is final, and I will not change it,” he says. When he was a year old Spiridonov was diagnosed with a rare muscle loss due to Werdnig-Hoffman disease, which affects spinal neurons and makes the person completely immobilized. His illness progresses with each passing day. Although 50% of children with spinal muscular atrophy do not get past the year of life, Spiridonov is 30 years old and has already finished college. However, their options to reach old age are almost nil. Spiridonov is very clear what it means to be the first person to undergo a head transplant in history. Objectively, I do not have the material resources to pay for it, but I am willing to give myself to science, “says Spiridonov. Dr. Canavero has revealed that many rich people are putting themselves in Contact him because they wants to have a new body and has ensured that his project will prolong life “indefinitely”. “I am 31 years and most of my life, in fact, since I have use of reason, I lived with my diagnosis: Werdnig-Hoffmann atrophy,” Spiridonov tells BBC World from Russia. It is the most serious form of spinal muscular atrophy, a rare degenerative disease that manifests itself in the first months of life and causes difficulty in moving, eating, swallowing and even breathing. They are “very limited” the things that people living with this disease can do on a daily basis, says Spiridonov. “In my case it is to push buttons on electronic devices, use the joystick of my electronic wheelchair and some minimal activities of daily life,” details in the interview conducted by email. As a child Spiridonov already understood that his diagnosis was something irreversible and permanent. “I grew up under very difficult conditions, knowing that somehow I had to build my future,” he says. In his childhood he developed a great love for science fiction, which led to his current passion for science and technology. Spiridonov is an engineer and runs a software development company with a special emphasis on educational materials. In addition, he is one of the founders of the Desire for Life Foundation, focused on connecting research groups that develop innovative medical and rehabilitation technologies. He is a rights activist for people with disabilities and a member of the Chamber of Deputies in his hometown of Vladimir, located 200 kilometers east of Moscow. “It is clear that in the world there is a group of people with very sick bodies,” says Spiridonov showing his militant side. Since his project was published in New Scientist, they do not stop writing new volunteers to offer their bodies … or to ask for a new one. Some are suffering incurable diseases and some are dreaming of immortality. And people for whom head transplantation is the next logical step in a world in which we manipulate genes and grow children in test tubes, where we measure, optimize and constantly control. In which there is more and more discussion about ethical boundaries only to discover that in reality there are no clear boundaries. 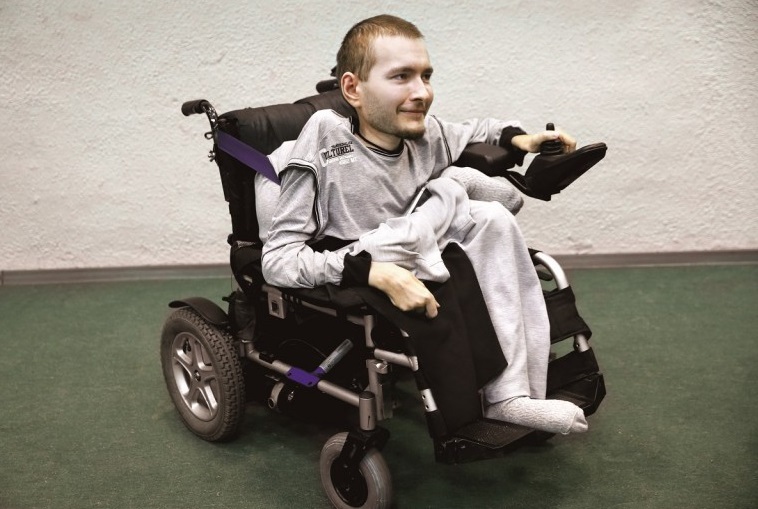 Valeri Spiridonov cannot choose the body to first head transplant. It is most likely that a person who has suffered an accident or who has been sentenced to death will be selected. Its only requirement is that it be a body of man. The transplant will last more than 36 hours. For its execution will be necessary the simultaneous participation of 100 surgeons. The separation of the current body head and its connection with the new body should not take more than an hour. “It is estimated that the patient should spend a month in a coma, which is the time necessary for tissue regeneration, and then requires a year of rehabilitation and physiotherapy,” says Spiridonov. If the operation succeeds, the sons of Spiridonov would inherit the genetics of the body donor. “As for the children, the genetics would be the donor, but this is a field that has yet to be studied,” he continues. Depending on where the operation is performed, the first head transplant may cost between $ 10 million and $ 15 million, says Spiridonov. However, the American magazine The Atlantic reported that the cost of the operation could amount to $ 100 million. Canavero has not presented specific requirements to candidates. “It has to be a person with a serious physical condition, for whom this is the only way out.” A person sentenced. Spiridónov and Canavero have never been seen, all the time have been communicated through Skype. Professor Canavero is not responsible for the result of the experiment and Spiridonov does not demand any obligation. A high precision surgical scalpel will play the leading role in the operation. It will cut the spinal cord. So that the head can revive in the new body, surgeons will have to ‘weld’ the cut axons: a prolongation of the neurons with which they connect with each other. Axons transmit information between nerve cells and also send signals to muscles and glands. Can the brain live without a body? The brain is the most sensitive organ in the human body. Unlike the lungs or liver, it can only survive without blood supply for a few minutes. After only three or four minutes without oxygen, the cells begin to deteriorate, after five the damage is irreversible. The patient will be prevented, if he does not die before. This was for a long time the main obstacle in separating the head from the body. But there are solutions. Neurosurgeon Robert White successfully transplanted a monkey head in 1970. To do this, he cooled his head to slow down his cellular metabolism. He maintained the refrigeration for one hour, which allowed him to attach it to the blood vessels of the donor before proceeding to change his body. The method devised by Canavero would be carried out in a similar way. But there is another problem. A problem that condemns thousands of people to the wheelchair and that counts among the main challenges of the current medicine. The spinal cord is inextricably linked to the brain. To transplant a head must be cut. And, to date, all attempts to regenerate a sectioned cord have failed. White’s monkey could see, hear and feel, true, but the head had no control over the body. This problem provokes Canavero’s laughter. The spinal cord is formed by segments arranged one after another. Through them flow millions of nerve fibers, as if it were a freeway. These fibers leave the marrow by different deviations, to continue with the metaphor, and they go to different places of the body, transmitting and receiving the necessary signals for the physical sensations or the movements. If the cord is cut at the level of the fifth cervical vertebra, as Canavero poses, the person could continue to breathe, but would be paralyzed from the four extremities and would have little control over their voluntary physical functions. Then take another banana and a very sharp knife. With him he cuts the banana in two. “And that way the marrow stays when it is cut for a transplant.” The difference, Canavero finishes, is quite large. A genius or a madman? Sergio Canavero does not have his own laboratory, he is not part of any research group. And even if the first head transplant really took place in 2017, he would only be a simple assistant because he cannot prove the necessary surgical experience before for first head transplant. All you have is an idea and the gift of making people enthusiastic about it. Canavero is a very sought-after man since last year; Journalists from all over the world want to talk to him, requests come from France, Israel, the United States, India … Everyone wants to know what kind of person this new Dr. Frankenstein is. Is he really a madman? Or of a misunderstood genius? Or even a possible candidate for the Nobel Prize? Canavero talks about the resistance with which the first heart transplant was found, back in 1967. In the 1970s, American surgeon Robert White went down in history by successfully performing head transplants on monkeys. The heart was long considered the central organ of the body, it was attributed a magical meaning. Transplantation was understood as a profanation of God’s work, as blasphemy. The same thing happens today with the first head transplant, says Canavero, who sees himself as a pioneer. He would like to promote a competition between countries, similar to the race to take the human being to the Moon. At the moment, says Canavero, who is in first position is China. Several experts warn that it is not possible to carry out such an operation successfully, and warn that this surgery would violate ethical standards. Right now, your life is anything but simple. To his critics, he is sometimes a madman and sometimes a monster, or a tinkerer or a charlatan, and always the center of a controversial ethical debate. The transplantation of a human head to a foreign body is one of the few objectives considered by modern medicine to be unworkable. And that, since the successful first transplant in 1954, that of a kidney, there are practically no organs that have not been replaced. At present, doctors transplant hearts and arms, hands, corneas, faces, uterus and penises. Doctor in medical sciences, Professor Aleksandr Nerobéyev thinks the operation is “pure fantasy and a way to attract attention”. “If the operation is successful, the person will remain consciously alive, getting a new body,” says Guennadi Oníschenko, a doctor and academic at the Russian Academy of Sciences, stressing, however, that the ethical issue is very complex. For his part, Arthur Caplan, director of medical ethics at Langone Medical Center at the University of New York, USA, calls Canavero “crazy,” according to ‘The Independent‘. The issue has also sparked controversy in the religious world, worried about the identity of someone who has the head of another person. Vsévolod Chaplin, a representative of the Russian Orthodox Church, believes that those who undergo this operation could only be called people “in a partial way,” he says, quoted by radio Govorit Moskva. “Will the person be the same after the operation? What will happen to his mind?” Ashin Bashirov, representative of traditional Buddhist Sangha in Russia, asks himself. In 1970 American doctor Robert White performed a first head transplant from one monkey to another. The animal remained alive for nine days, although it could hardly be called ‘life’ to its state, because of the cut in the spinal cord the monkey could not feel his body nor move it. From the experiments with monkeys, medical science fixed the term “head transplant,” although the donor material is a body.